The fourth Berlin edition of the “HoW exciting! Workshop on excitations in solids” took place in the Campus Adlershof of the Humboldt-Universität zu Berlin between July 31st to August 9th, 2018. Excitations in solids, which were the core topic of the workshop, are among the most exciting phenomena in condensed-matter physics. In this context, the electronic-structure approach provided by density-functional theory (DFT) is only the first level in a hierarchical set of models which are needed to quantitatively describe and understand these phenomena in real materials. The main goal of the “HoW exciting! Workshop on excitations in solids” was to address these issues and to establish a robust relationship between the most recent advances in theoretical and computational methods and the different domains of applicability with respect to experiments. Specifically, in this workshop the state-of-the-art of theoretical and computational approaches to describe different kinds of excitations (optical, magnetic, vibrational, etc.) 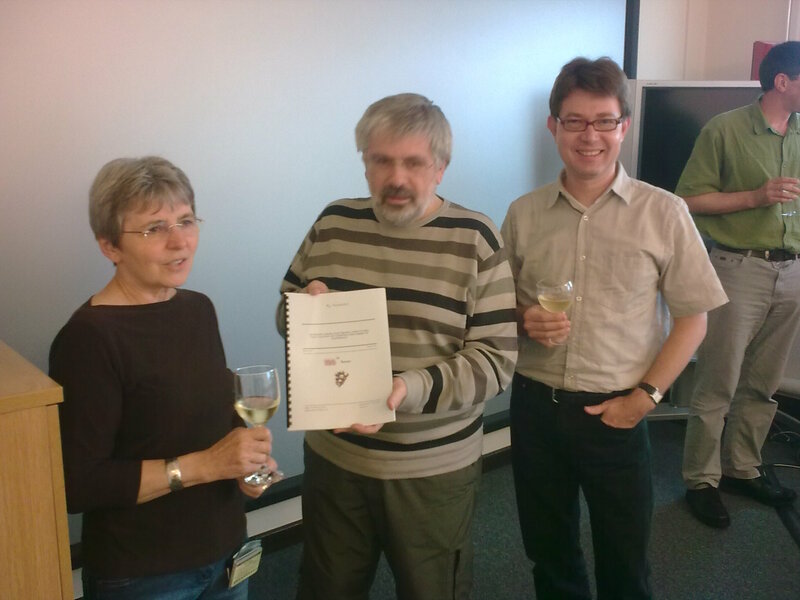 in solid-state materials were presented. Future perspectives of these methodologies and their applications in different research fields were discussed and new connections between theoretical and experimental groups, who are investigating excitations in materials from different perspectives were established. The main topics spanned the whole range of first-principles methods for excitation processes in solids, including electronic excitations, electron-phonon coupling, core-excitations, and non-equilibrium processes. A hands-on tutorial on the exciting code conducted by the developers’ team within the solid-state theory group of the Physics Department of the Humboldt-Universität zu Berlin who also organized this event. The tutorial took place between July 31st and August 5th, 2018. An international conference with 23 invited speakers, 6 contributed talks, and a poster session. The conference took place on August 6th – 9th, 2018. A complete list of the invited speakers can be found here. The tutorial was organized as follows. In the first two half-days, keynote lectures, given by internationally recognized speakers, introduced the underlying theory of DFT and many-body perturbation theory (MBPT). In the afternoon of the second day, the tutorial sessions started. Each session was organized in two blocks. First, a general overview introduced the specific parts of the code. Next, a practical session in the computer lab was guided by members of the exciting team. In this way, participants had the opportunity to put their knowledge into practice with the help of the tutorials of the code. During the last day of the tutorial, Sunday, August 5th, the participants had the opportunity to engage themselves with their own project, supported by the developers of exciting. The hands-on tutorial hosted the members of the Marie-Curie International Training Network “INFORM”. The largest majority of these early-stage researchers had an experimental background and for most of them the tutorial was the first approach ever with ab–initio calculations. During the hands-on tutorial exciting nitrogen was released. In the following, we report the list of topics of the hands-on tutorial. The detailed program can be found here. Different aspects of the complex landscape of excitations in solids could be addressed and discussed, from both an experimental and a theoretical perspective. Specifically, the fundamental physical mechanisms ruling the response of materials to an external perturbation were the subject of the two Spectroscopy sessions. The presentations in the Materials sessions showed how state-of-the-art experimental and computational methods are nowadays able to address key questions in materials science. The hottest topics in the fields of photovoltaics, optoelectronics, and thermoelectrics were touched. 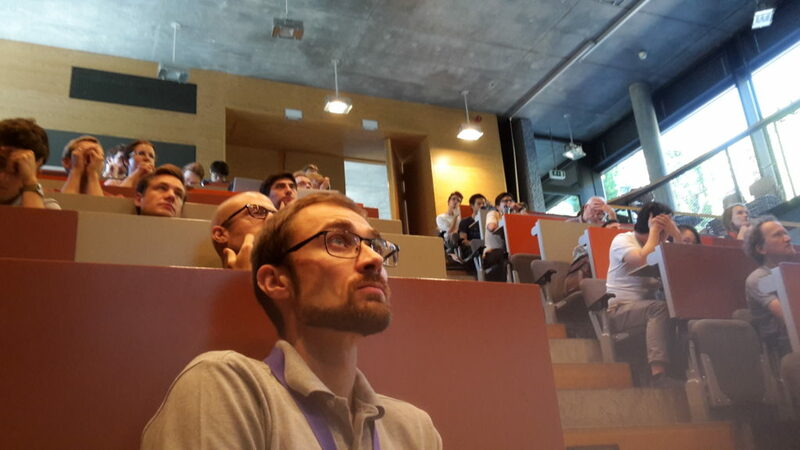 In the session Advances in theory up-to-date developments to address challenging problems like electron-phonon coupling in solids and accurate excited states in molecules and solids were presented. The concluding session of the conference was on Plasmonics and transport. Electronic-structure-theory methods had obviously most relevance during the workshop. The capability of DFT to characterize the ground-state properties of materials emerged in the majority of lectures and contributions. At the same time, the current limitations of this method as well as the proposed strategies to go beyond the status quo were exhaustively debated. Another main topic of discussion concerned the treatment of excited-states properties. 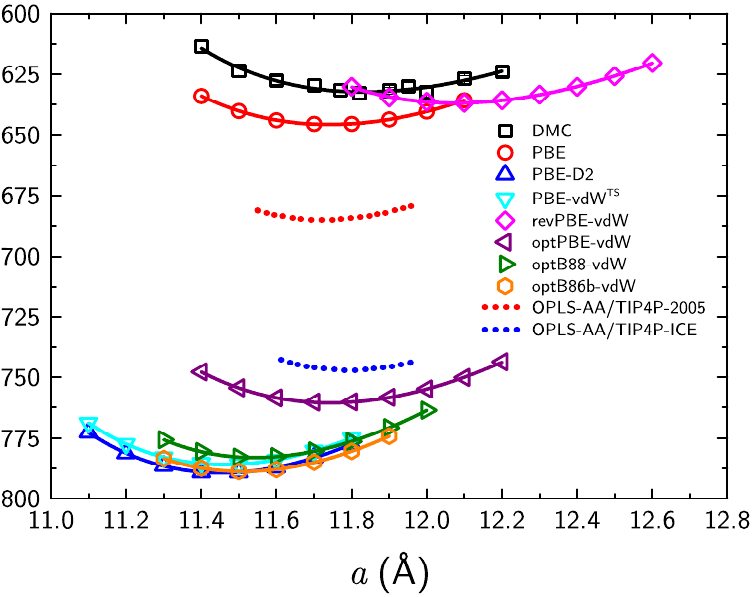 Electronic correlations, electron-hole pairs, and out-of-equilibrium phenomena cannot be described quantitatively by semi-local DFT and for this purpose approach going beyond the mean-field description are needed. The increasing complexity coming from advanced methods such as hybrid DFT and many-body perturbation theory was extensively discussed. The connection between theory and experiment in order to jointly describe complex excited-state phenomena and to advance in parallel in terms of methodology was put in the foreground in many talks and discussions. As an outcome, it was highlighted that advances in theoretical approached need to be reflected in the novel experimental techniques, in order to give rise to new scientific breakthroughs. These exchanges, involving to a large extent also the young participants, greatly enriched the workshop and represented an added value, which will possibly be reflected in their future research work of anybody who attended it. The audience of the “HoW exciting! Workshop on excitations in solids” was large and diverse in age, career level, background and nationalities. As mentioned above, 15 participants were part of Marie-Curie International Training Network “INFORM”. The other young researchers who took part in the event were undergraduate, doctoral students, and post-doctoral scientists from different groups in Germany and abroad. Overall the number of participants was about 70, with more than 20 nations represented. While, on the one hand, this is an indication of the international relevance of the topics addressed in the workshop, on the other hand, such a diversity contributed to large extent also to the lively cultural and scientific exchange that took place during the workshop. Also in terms of gender we ensure above-average diversity. About 40% of the total number of oral presentations was given by women. The social program complemented the scientific one, promoting further exchange among the organizers, the invited speakers, and the participants. Coffee breaks and meals organized in loco helped socialization and thereby promoted scientific discussions, which contributed essentially to the success of the workshop. To ensure the participation to at least a social event to each participant, we organized a barbecue took place on beach at the Müggelsee, the largest lake of the Berlin area, on Sunday, August 5th at the conclusion of the hands-on tutorial. The social dinner for the international conference took place on Tuesday, August 7th, in an Indian restaurant near the campus area. The workshop received a very positive feedback from invited lecturers and attendees. Lecture slides and tutorial talks are publicly available within the exciting webpage for future dissemination. The hands-on tutorials used during the workshop referred to the release exciting nitrogen are available on the website of the code.